Need one more reason to visit Croatian Ibiza – the island of Pag? How about potentialextraterrestrial activity? Bare with us as we omit to investigate the peculiar. 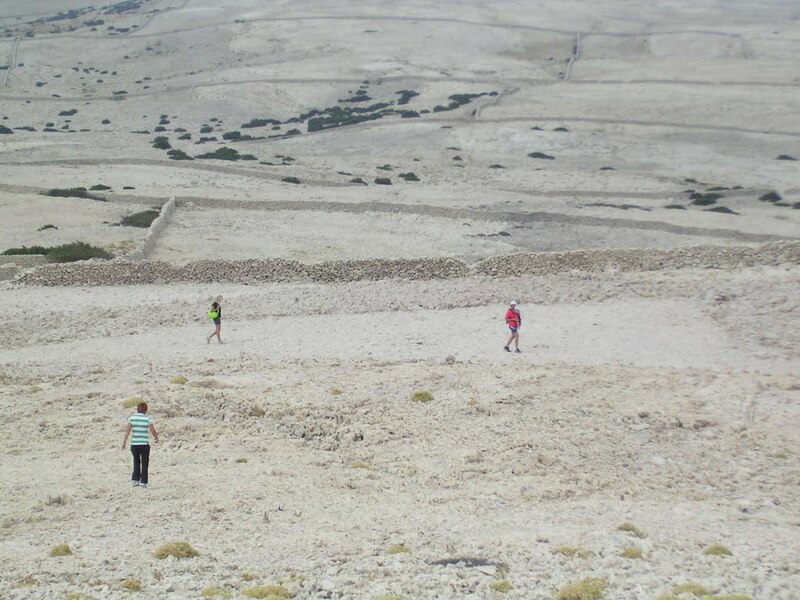 9th of May, 1999, Croatian surveyor Zdenko Grbavac was about to make some geodetic measurement at the foot of a hill Komorovac, near the city of Pag, when he noticed something just a little bit odd. It was an imprint in the shape of a triangle on the hard rocks of the island. Impervious terrain was hiding an old and mysterious secret. When he measured the ground he found out it was isosceles triangle. This land formation had one side approximately measuring 32 meters and two other sides both measuring 22 meters. Soon the media was informed about this strange discovery and the news started to buzz. Numerous tourists, scientist and UFOlogists were interested in this finding straight away. It is estimated that within the first year of discovery 20 000 people visited Pag triangle and more than half a million people to this day. First visitors of the site did some damage to the place removing numerous stones and digging the place. Because of this devastation in 2000 the city of Novalja protected this natural attraction. So, what is this triangle really? The founder Zdenko Grbavac observed that the stones inside of the triangle were a lighter color. The structure of the stones which are located in the triangle are different from the ones outside of the triangle. According to research of Croatian geologist Stjepan Zvonaric stone inside the triangle, when exposed to ultraviolet light, shows signs of red phosphorescence, which means that the stone inside the triangle was exposed to extreme temperatures in the past. The red phosphorescence is only visible on the side of the stone facing the ground, because over the years, and the exposure to the weather and the sun traces were washed. Similar properties have not been found in any rocks in the vicinity of the triangle. Spooky, ha? Since then numerous speculations were crawling around. Spokesperson of Centre for Alternative Science, Teo Ljubić from Split said: “Traces of possible UFOs landings are no rarity in the world. There are plenty of unsolved ground prints around the world. Most often these traces are found on the ground and grass. But what is found on Pag is particularly interesting because it is about something completely different. This is probably the only descent print in the world, of potential UFO landing in the hard rocks. Therefore, this is something special that we must immediately investigate and see what it actually is.” Still, to this day the enigma remains. Well, how do I get there? What is quite clear at first glance when visiting the triangle is that the imprint in hard and sharp island rocks must be someone or something’s work. It is not just a natural phenomenon occurred in random geological, tectonic and thermal action. Seems like, if some form of extraterrestrial life exists it is evident that it likes to party hard, choosing Croatian Ibiza for its appearance and landings. Allegedly, the locals have witnessed more than one UFO. 1967, 1997, 2002 are all known for mysterious apparition in the sky. Who knows, you might just get lucky and see it for yourself. Over the years the site has become favorite tourist destination and some sort of mecca for all the lovers of intergalactic secrets. The Pag triangle has been standing strong for 12 000 years, resisting everything from stormy wind, rains and sunshine remaining a secret that seeks its ultimate explanation.